Let’s Unbox Another Battery King! When Asus launched the Zenfone 5, we thought we only saw three variants of their recent iteration of their Zenfone devices. 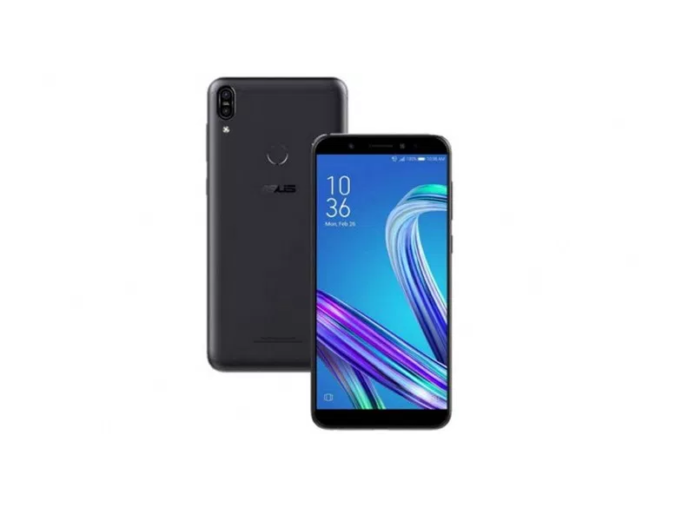 To our surprise, the company also introduced a new member to their “Battery King” line of smartphones — the Asus Zenfone Max M1. The big-batteried, budget device arrived at Unbox HQ over the weekend, so let’s check out what’s inside the box and give you guys a quick peek at the device. While members of the Zenfone 5 line comes in a clean white cardboard box, ASUS introduces a bit of color to the packaging to their more affordable devices. The Max M1 comes in a two-toned blue box with a hint of silver plus the name of the device and the company’s “We Love Photo” motto on the sides. Inside it’s pretty much your standard unboxing experience we’ve come to expect from the company with the usual assortment of accessories and the phone, of course; this includes: a SIM ejector tool, jelly case, documentation, earphones plus its extra buds, charger, and micro USB cable. At the start of 2018, ASUS introduced us to their first device with a taller display — the Max Plus M1. While the 18:9 aspect ratio brought something new to the table, it’s overall design language was still very much influenced by their devices from the previous year. This is not the case for the Max M1, which closely resembles its brethren in the Zenfone lineup; a point mostly driven home by the vertical orientation of the dual camera array tucked in the upper right corner of the device. In terms of material choice and build quality, it’s pretty much the same though. You’ve got a polycarbonate plastic chassis with a metallic finish just like it’s bigger brother. The unibody body build makes it feel solid in the hand. Its gentle curves make for easier handling and, as you would expect from the lack of the Plus moniker, the device is smaller making it easier to fit in your pocket too. It’s time for the cursory tour around the device to show you all the port and button layout. The right side of the Max M1 houses the power button and volume rocker. You’ll find access to the SIM tray on the left side of the phone and we’re really glad that we’re seeing less of the hybrid SIM trays and more triple slotted ones. On top, you’ve got the headphone jack and one of the phone’s microphones. Lastly, on the bottom, are the speaker grilles flanking the micro USB port. Only the right side houses an actual speaker though but you’ve got another mic on the left side. The front of the device is dominated by the 5.5-inch HD+ IPS LCD display with a screen-to-body ratio of 82-percent. While the pixel density is on the low side, you have to remember that the Max line is all about getting the most juice out of the phone’s battery; making the choice to go 720p understandable. Colors are pretty good and you’ve got generous viewing angles as well with no color shift too. The panel also has 400 nits of brightness, which should be sufficient for outdoor use. Above the screen is the device’s 13-megapixel selfie camera that has an aperture of f/2.2. One thing that should be noted about this camera is that it has a fixed focus, so you’ll have to learn the optimal distance for taking selfies to make sure that you’re the focal point and the person behind you. At the back of the Max M1 is the usual dual rear camera setup from the Taiwanese brand. It consists of a 13-megapixel main shooter at an f-stop of f/2.0 along with a secondary 8-megapixel wide-angle camera with a 120-degree field of view. Along with the camera array, you’ve also got the fingerprint scanner just above the phone’s Asus logo. It remains our preferred bio-metric scanner but you do have the option to use face unlock too. Under the hood of the Zenfone Max M1 is a Qualcomm Snapdragon 430 processor that’s paired with 3GB of RAM and 32GB of expandable storage. The Snapdragon 430 is 2 years old at this point and, while it’s starting to show its age, it still remains one of the prime choices for smartphones in this price range. Initial navigation through the device was smooth and app launches were quick enough, though we’re pretty sure you’ll have to use some restraint in terms of gaming on this device. The phone runs on Android Oreo out of the box with ZenUI 5 on top of it. You’ve still got a number of the company’s pre-installed apps but nowhere near as much as they used to pile on in the old day, which wasn’t that far off really. Providing power to the Max M1 is a 4000mAh battery. The phone should have more than enough juice to last the day but we’ll see how long the device actually lasts as we take it through our review process. Thankfully, the phone supports fast-charging via Asus BoostMaster, so you shouldn’t have to wall-hug more than usual to top up the M1. That pretty much does it for this unboxing and quick look at the Asus Zenfone Max M1. We should have the full review up in a couple of days, so make sure you check back in a few days if you’re in the market for a phone that has a bigger battery capacity. The device is priced at Php 8,995/$174 and is now available in Asus Stores nationwide.